**By processing and paying above you are agreeing that the material you are submitting is original and non-stolen material. 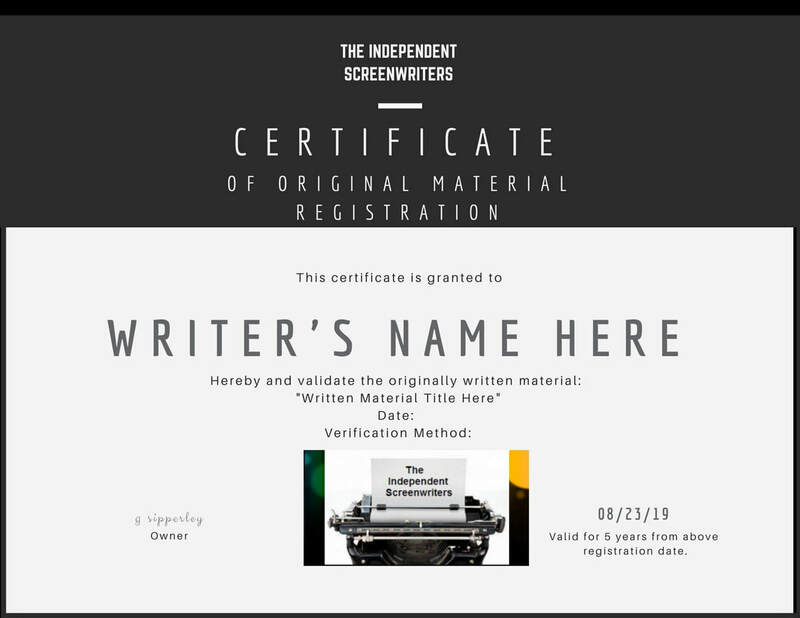 The email verification will prompt you to upload a PDF of the written material and once submitted you will receive the certification. At no time will you be asked to submit your social security number as they do on other registration sites. Alternative option to registration is publication! 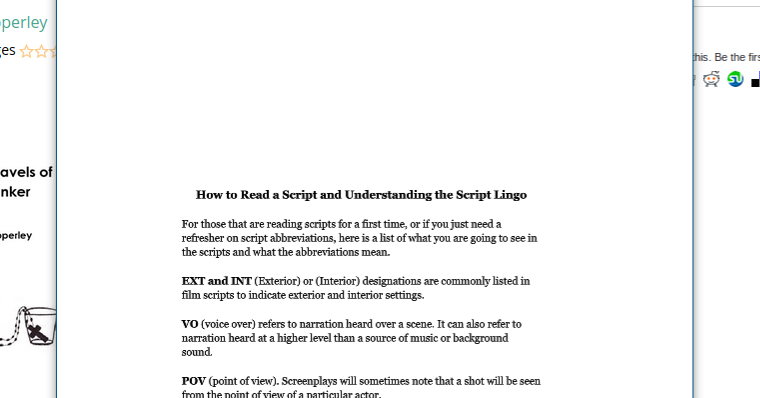 Screenplay (or any written material) as a book! 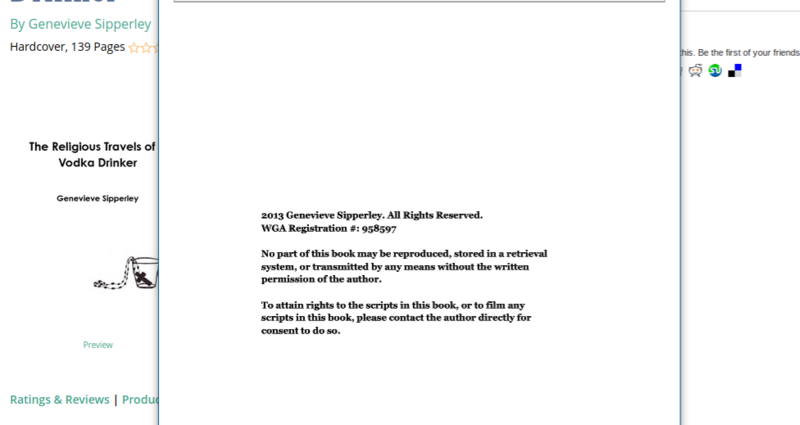 That's right, turn your screenplay into an actual book. Not only will this register your material but gives the option of another outlet for pitching and sharing your work. 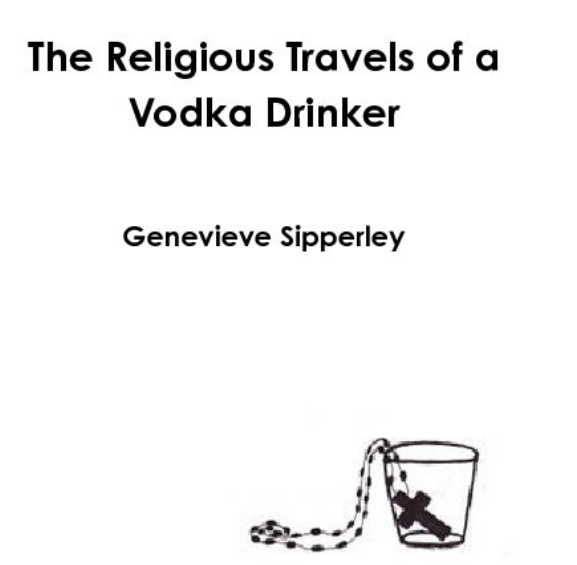 This registration option would be custom project to project; soft cover publication starts at $15 per book and hardbound starts at $23.00 per book. Design assistance for cover art is an option or design your own for free. Initial consulting to create a book is only $30 and you retain all rights and creative decisions to your material. 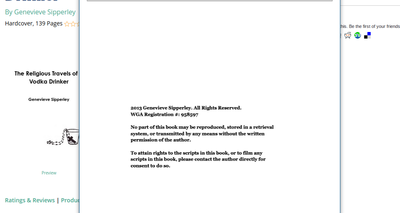 We even help with Amazon placement, registration ID, and providing initial page content on how the reader can read a script formatted book if that is the submitted content. 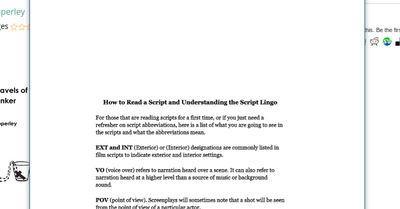 Below is an example of a feature screenplay in book format and it's opening pages, please contact us with any questions or quote inquires. We will get back to you within one business day. Happy writing! Get your custom book quote now! Please fill out the basic info and we will get back to you within 1 business day with a quote or be in touch with any needed further questions so we can get you the best detailed service quote possible.